At this point, the future in our herd lies in the Nubian and LaMancha breeds. Their milk is rich and creamy with the highest available butterfat content. Hight butterfat equals the opportunity to make butter! Our herd consists of 1 bucks and 4 does. Our does have been staggered in their breeding to supply us with fresh milk year round. Our does generally freshen (give birth) between February and May. Everyone helps out with milking! We only breed our does once a year and allow them to dry off when they are pregnant. We do not dehorn our goats. We feel it is cruel and inhumane. They were given horns for protection and we don’t have the right to take that away from them. 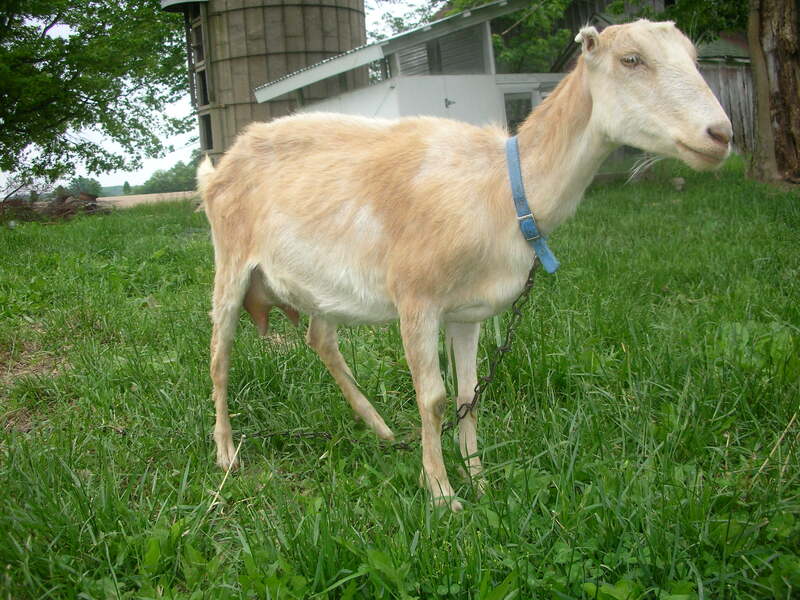 We have never had a problem with goats maiming each other or getting tangled in the fence. 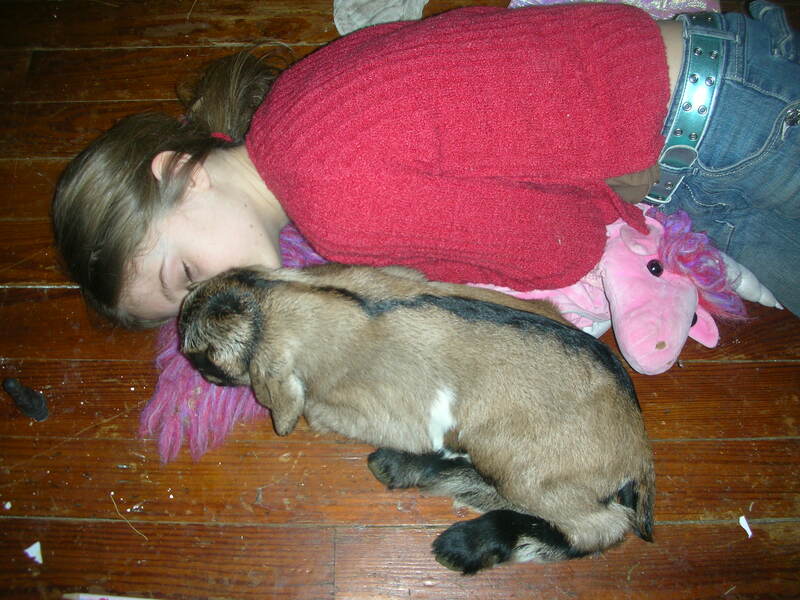 We have had our goats for 4 years. We never handle them by their horns and they have never attempted to use them on us. Our queen milker is Calendula. She was born in 2007 and gives excellent milk. She produces about a gallon of milk per day. (see our sale page for her son). She is 50% LaMancha and 50% Alpine. Her milk is creamy and rich and in high demand! This is Clover. She was born in 2006 and gives less milk than Calendula but as high quality. 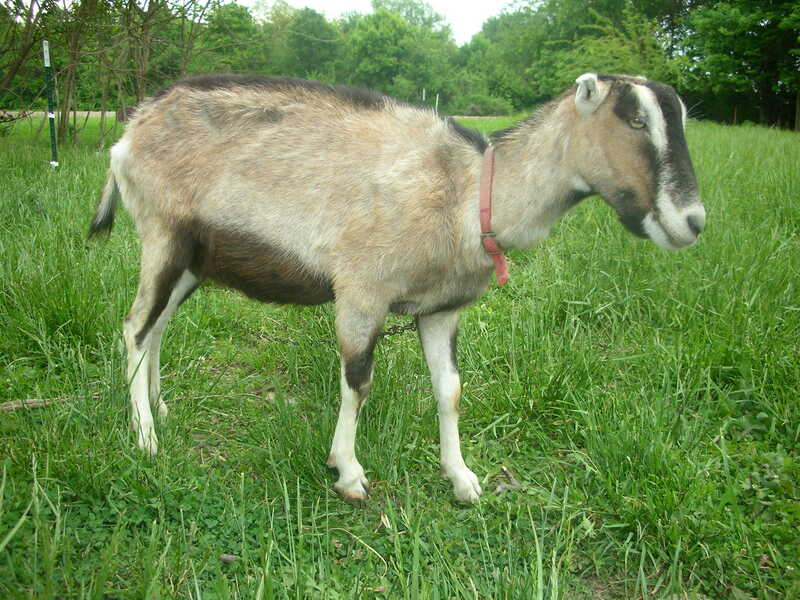 She is a mix of LaMancha, Nubian and Alpine and has a sweet disposition. 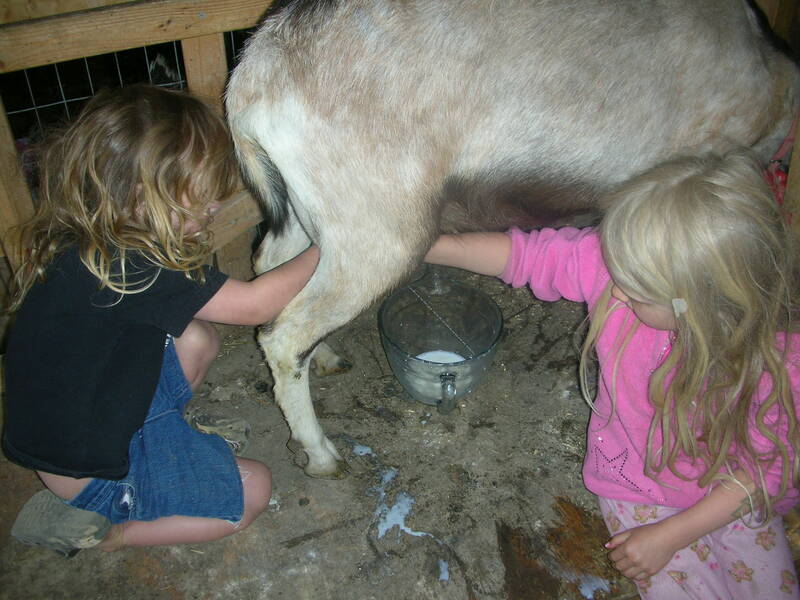 Most of my kids have learned to milk with her. Although she doesn’t produce a lot, I keep her around because what she does produce is exceptional! This entry was posted on Monday, May 10th, 2010 at 11:21 am	and is filed under . You can follow any responses to this entry through the RSS 2.0 feed. Responses are currently closed, but you can trackback from your own site.